**64-track 5LP boxset housed in foil-blocked case with individually numbered certificate of ownership. 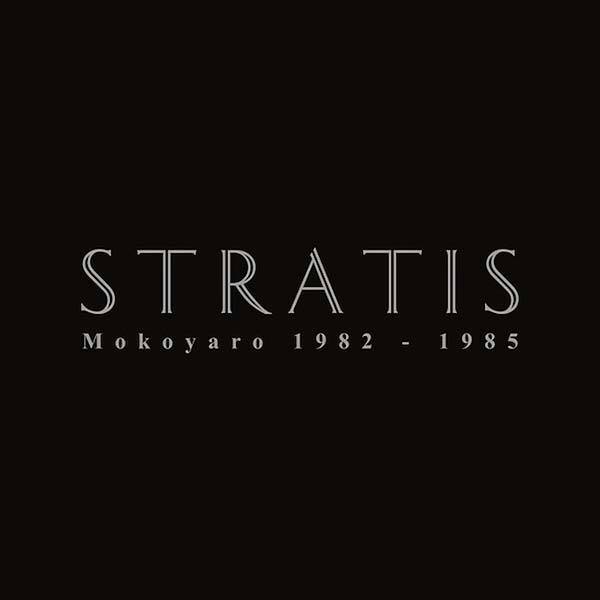 Edition of 500** Vinyl-On-Demand reveal the magical world of Stratis, an electronic duo from Cologne initiated by Antonios Stratis and Albert Klein in 1981. 'Mokoyaro Years 1982-1985' collates their amazing output issued on both Colin Potter's Integrated Circuit Records and their own label, Creative Tapes, incorporating a massive wingspan of ideas ranging from Muslimgauze-like Eastern-Electro to Tangerine Dream-skool synthscapes and incredible proto-techno trips redolent of Chris & Cosey or Yello. As with most V-O-D numbers, it's likely to be a serious revelation for even the most ardent, attentive wave riders, condensing some five years of focussed, visionary work that's so far managed to evade the trawling nets of reissue culture. Quite rightly the label say this music could have been composed for classic sci-fi films like Captain Future, Blade Runner, Tron, or Flash Gordon, and that's testament to the "what the f**k, where have I heard this before?!" factor of their output; it could easily have appeared on that Ron Hardy, Jamal Moss or Fat Ronnie mix you cherish, or equally the soundtrack to some iconic underground documentary on early '80s NYC club culture. Massively recommended.